While the NAHB’s New American Home 2017 is the showstopper at this year’s International Builders’ Show, Profes­sional Builder’s Show Village will feature a record number of home displays in 2017. 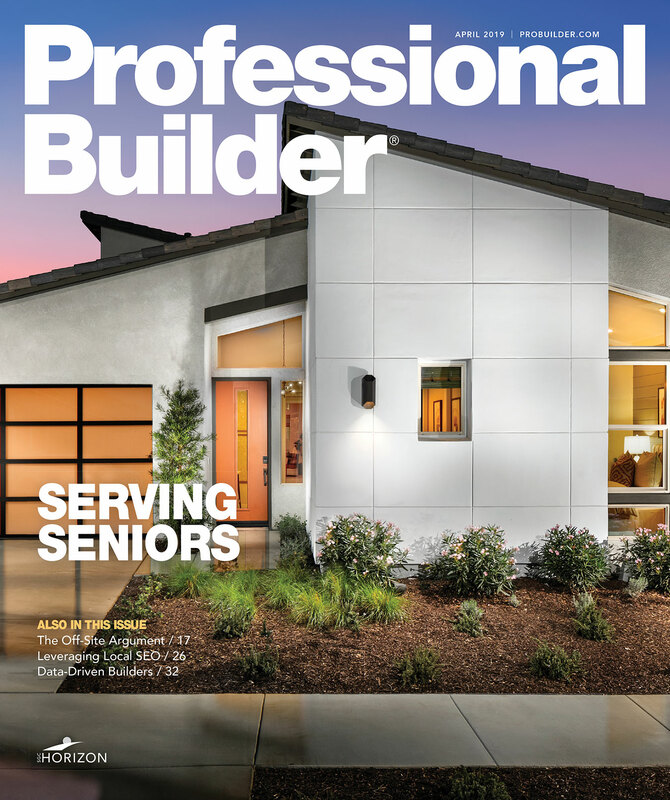 Visitors will see full-size exhibits showcasing the newest products and will also be able to tour two complete homes that are designed to appeal to specific life-stage buyers, Baby Boomers and Millennials. 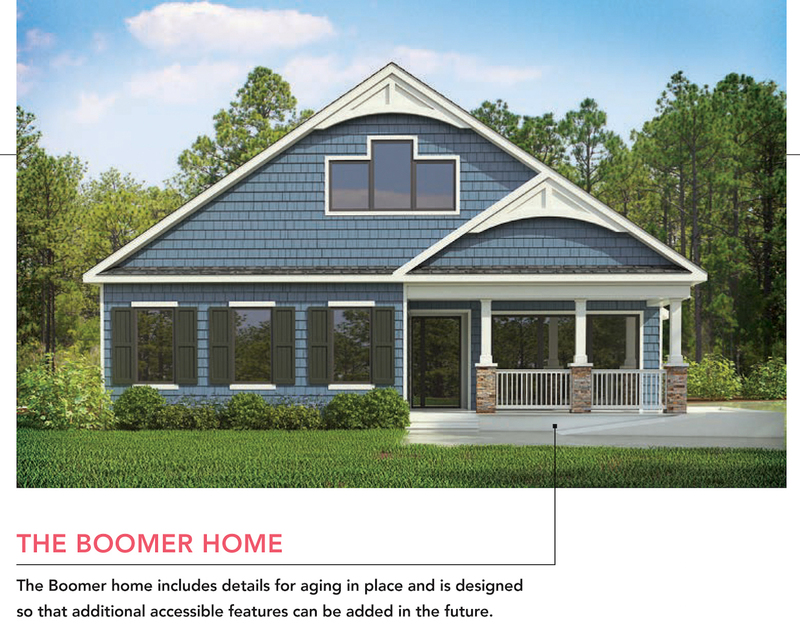 The Boomer home has wider hallways and a no-threshold shower for wheelchair accessibility. While there currently are no grab bars in the bathroom, blocking in the walls allows for their later addition, if needed. The house is being built in Virginia at Nationwide’s factory and will be trucked to Orlando and assembled for the show, after which it will be disassembled and trucked back to Atlanta to be given to HomeAid. The Ultimate Kitchen + Bath and the Ultimate Laundry Room, designed by Tucson, Ariz., interior designer Lori Carroll and built by Palm Harbor Homes, comprise half a house. After the show, the rooms will be united with the rest of the house and sold. In past years, exhibits have had to be completely dismantled, but Palm Harbor created this ingenious module solution. BASF is sponsor of a Show Village home that will display the breadth of its products and technologies. 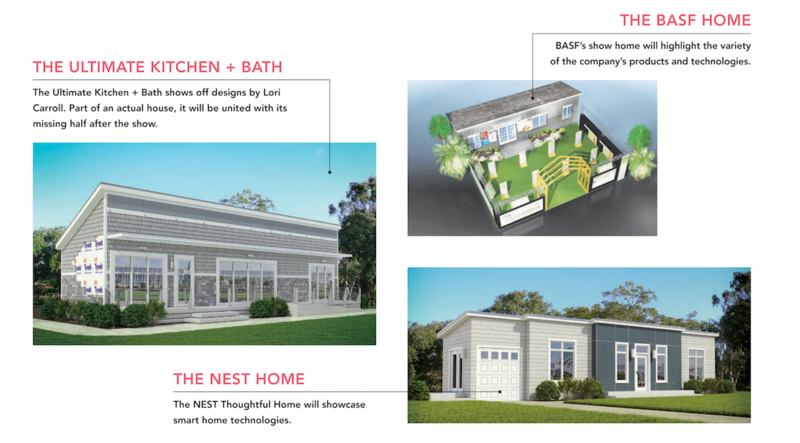 And NEST is sponsoring the NEST Thoughtful Home, which demonstrates the newest smart home systems. Picture Palm Springs, Calif., in its heyday, when Frank Sinatra, Dean Martin, and Sammy Davis Jr. golfed in the afternoon and partied all night in low-slung rambling mid-century modern houses with glass walls, glamorous pools, well-stocked bars, and endless lounging spots. Now take in the splendid views from the NAHB’s New American Home 2017 in the Lake Nona community, in Orlando, Fla. You’ll instantly crave a martini or a Tom Collins, even if, instead of the rugged desert, the view is of a pond bordered with a crescent of lush green pine and cypress. With expanses of glass blurring the lines between indoors and outside, white walls, and one-level living, this year’s New American Home channels mid-century modern. But it offers much more. Architect and builder Phil Kean, of Phil Kean Design Group, in Winter Park, Fla., took cues from International Style—the signature modernism of the early 20th century—to create what he calls a Pod House, where guest suites connect to the main living area through enclosed breezeways, allowing for privacy in this house of glass. The Lake Nona enclave attracts sophisticated, well-traveled buyers from all over the world who spend the winter in Orlando, often with family members from afar visiting for extended periods. The home’s guest-suite pods offer long-term visitors a quiet retreat, while a separate casita pod could become home for an elderly parent, nanny, guest, or boomerang child. The pod design of The New American Home also offers the option of closing off the apartment, game room, and spa room areas when they’re not in use, so the HVAC system can be dialed down, providing greater energy efficiency. Drought-tolerant landscaping and a pod system of rooms that allows for closing off unused portions of the home help make a generously sized luxury house water-smart and energy-wise. What’s more, the home’s energy-efficient design and systems include an array of energy-saving and capturing devices to generate and hold enough juice to power the whole home, making it net zero. The home’s flat roofs also allow for the installation of the highest possible number of solar panels, oriented to generate the most power, Kean says. Large overhangs manage heat gain on the glass walls, while motorized screens and blackout curtains will help in other areas when needed. Because the house is expected to generate more power than it needs during sunny hours, Tesla batteries store excess electricity so it can be used after the sun sets. Designed to be a home for life, the house offers single-level living. The home’s entry, while somewhat imposing, is a bit deceptive. Instead of entering through the front door into conditioned space, visitors find a spacious patio with a comfortable seating area abutting an open courtyard that is also a putting green. Kean finds room for art in all of the homes he designs, despite the abundant windows. He created a perfect gallery space along the linking glass corridor on the other side of the putting green. On the patio side, instead of an office, Kean created a man cave, complete with a golf simulator. While a putting green may be passé in some places, it’s highly desirable in this part of the world. Lake Nona boasts championship courses and a strong residency of pro golfers and golf enthusiasts. Kean adds that the golf simulator room could easily be converted into office space for a non-golfing buyer. The heart of the house is a great room that stretches from the formal foyer and living room’s four-sided gas fireplace to a bar and glass-enclosed wine storage area. This stunning expanse opens onto the courtyard on one side and offers lush views of the pool and pond on the other. Though Kean kept universal design top of mind when designing the home, the view from the flat roof was too good to leave for just the solar panels, he says. An internal stairway with frosted glass treads and built-in LED lights was turned into a design feature showcased by a ground-to-roof window that allows a glimpse of this sculptural and functional element from the street. Teresa Burney writes about business, home building, design, real estate, and development.